Happy Mother’s day to Mom’s everywhere! My Mother and I have a very silly, fun, and hilarious relationship. I always try to treat her like the Queen that she is but especially on Mother’s Day. What do all Queens love to drink on their special day? They love Sparkling Wine! How do I know this? Because when my Mom and I party, there is always sparkling wine. Let’s celebrate this Mother’s Day with Rosa Regale Sparkling Red! Rosa Regale is a unique Brachetto sparkling wine from the Piedmont region of Italy. It offers a palate of fresh strawberries, wild raspberries and Bulgarian rose, complemented with crisp acidity and a round, dry finish. Sounds tasty right? Yup! Sounds like something your Mother would truly love on her special day, right? Yesssss. 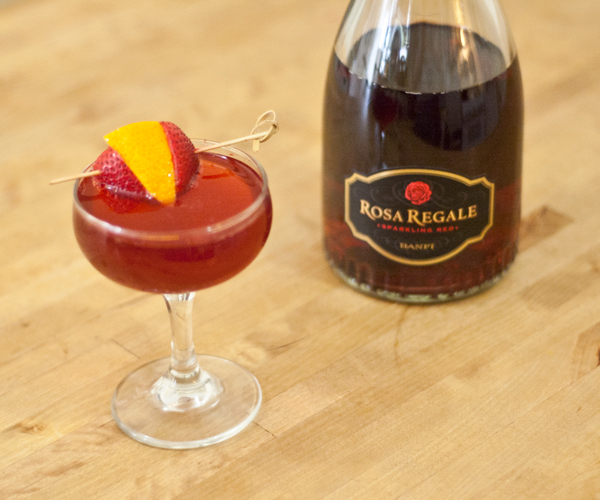 Let’s get into a few ways we can celebrate with Rosa Regale. 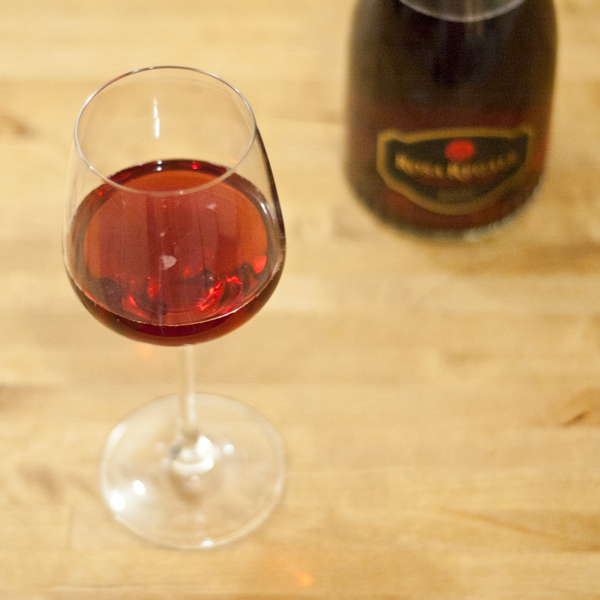 To start, you could chill the Rosa Regale and pour your Mother a glass. I’d recommend pairing it with some fresh strawberries and/or chocolate truffles. You could serve it as a fruity and fabulous Mimosa with your Mother’s Day brunch. You are making your Mom brunch right? Thought so. In glass combine Triple Sec and Orange Juice and stir until they’ve combined. Double strain into coupe, float Rosa Regale on top, and garnish with Strawberry. 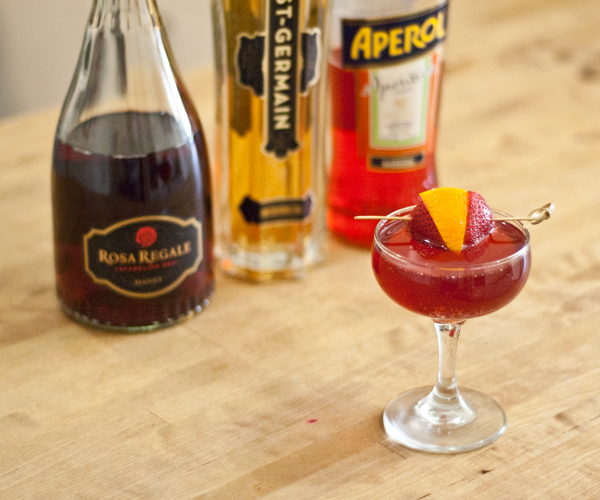 If you or your Mother are a fan of the Aperol Spritz, then this variation would be perfect! Combine Aperol, St-Germain and Orange Juice over ice and shake. 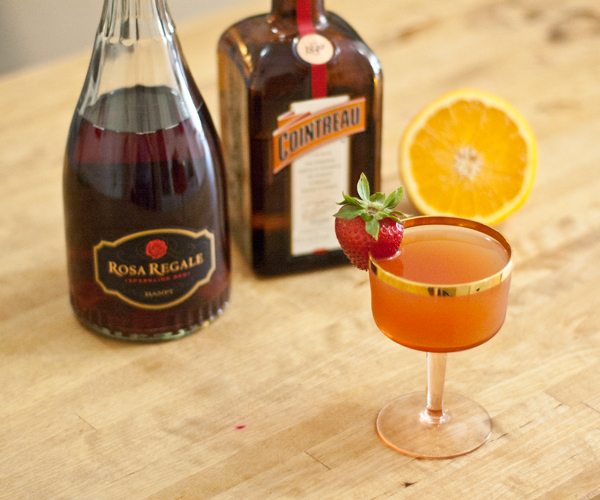 Double strain into coupe, float Rosa Regale on top, and garnish with fruit. 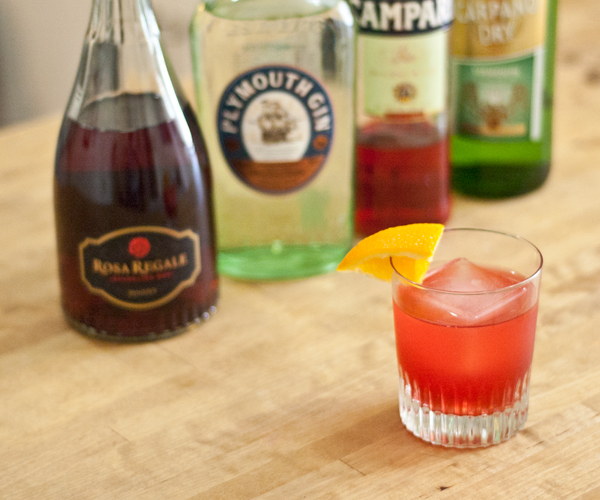 And for those Mothers who like their drinks a bit bitter or who are really fond of the Negroni, here’s a bubbly variation! 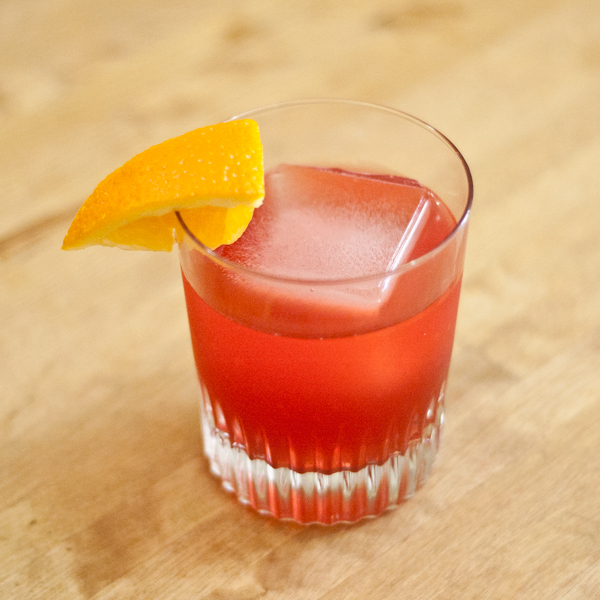 Combine Gin, Vermouth, Campari and Grapefruit Juice over ice and short shake. Double strain into Rocks glass over ice, float Rosa Regale on top, and garnish with Orange wedge. Once again, to my Mom and all of the other moms, Happy Mother’s Day with Rosa Regale! Thanks to M Booth for the Rosa Regale and Aperol.